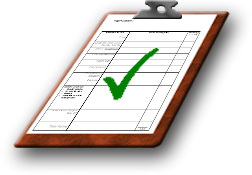 When you are looking for a house to buy, what is on your checklist? Hardwood floors? Granite counter tops? Do you consider your commute time or are you looking for that extra bedroom at a good price? When you move into a new home you have a lot more to consider than the features written on a piece of paper. You have to really think about what it is going to be like living in that home, that neighborhood. As a young couple starting out or a family settling down, would you be best suited for a bustling city like Raleigh or a quiet neighborhood like Cary? Too many buyers think about the house versus what their lives will be like in a certain place. The three aspects you must put into your search are: Cost, Function and Delight. Only when all three of these work together can you find the right home for your situation. Figure out what lifestyle works for you, whether it be rural, urban, suburban, etc. Then from there narrow your search to find your dream home. Posted on June 26, 2013 by marykim1 •	This entry was posted in Lifestyles of Apex, Lifestyles of Cary, Lifestyles of Holly Springs, Lifestyles of Raleigh and tagged Cary, Cary NC Real Estate, Checklist, Home Buying, Home Buying Checklist, Location, NC, Raleigh, Real Estate, Rural, Suburban, Urban. Bookmark the permalink.